Andrew Nisip, a native of Lake Worth, Florida, was a Kirtlandia Summer Intern at CMNH. 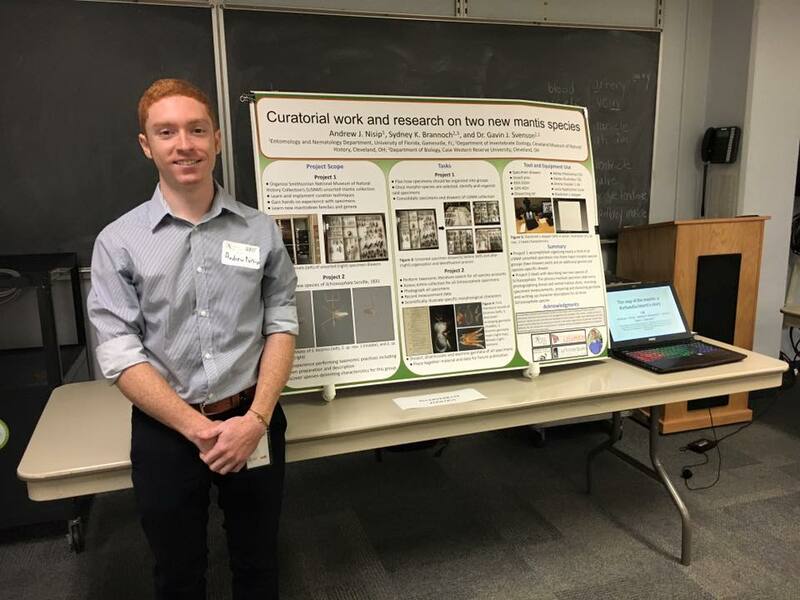 He worked under the direction of Sydney Brannoch, PhD candidate, and Dr. Gavin Svenson, Curator of Invertebrate Zoology, cataloging praying mantis specimens from the Smithsonian Institution’s collection, and conducted research that contributed to describing two new mantis species. He graduated this year from the University of Florida, Gainesville, with a degree in entomology, studying insect biology, biosystematics and behavior. This entry was posted in Activities at CMNH. Bookmark the permalink.